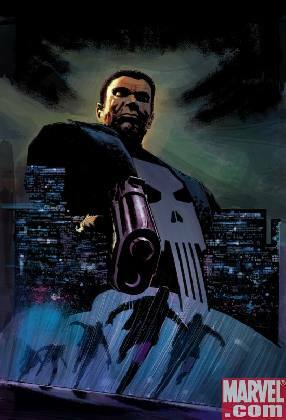 Punisher and the Frank Castles…plan to rock you ALL NIGHT!!! This is a the rough draft of my idea for Frank castle clone, these are just the cards I’d use. i will begin to slim down for ratio of cards each drop. There are still two ways to run this deck. I have better experience with MK FAN 4 together. Herbie on 1, he alone is worth the Fan 4 team up. He moves equips and makes 1 cost (the biggest cost equips in the deck) equips free. Black widow for support. Punisher on 2, but he dosen’t attack, just survive for sniper shot food. Punisher or Mr. Fantastic on 3. You should team-up by now, Eurika or 100 idea’s or carrying the torch if you can, if not, pump sniper shot. Punisher on 4, New Baxter Building, pop Herbie for Scatter gun or steel girder, begin the terror. Punisher or Elektra or thing (I might drop him) on 5, Sniper shot. Punisher or Elektra on 6, Flip a pier 4, double brass grill, start shooting. If you remove the fantastic four, then just increase character search, protect sniper shot, and keep the two visible characters up.